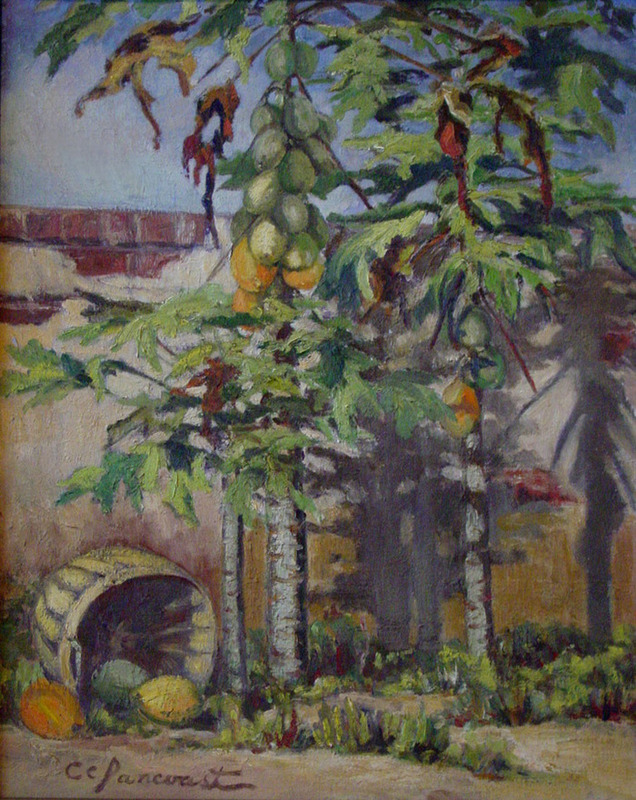 Mrs. William Test Pancoast San Antonio , Landscape, still life, street-scene painter, journalist.Pancoast was born in Lafayette, Lousiana, and educated in new Orleans before coming to San Antonio about 1888. During the 1920s and 1930s she worked as a journalist for the San Antonio Express and afterward the San Antonio Light while taking, lessons from Jose Arpa and Wilson K. Nixon. In the summer of 1939 she instructed in the art colony associated with the Sul Ross Summer School of Art at Alpine. 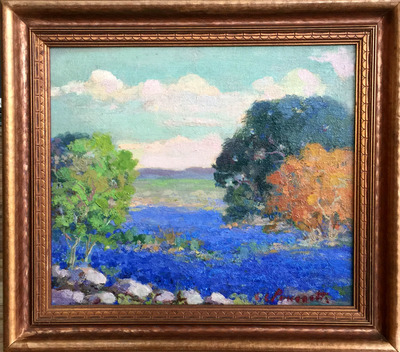 A part-time but prolific painter, Pancoast died in San Antonio.Exhibitions: Texas Artists Exhibition, San Antonio Art League (1926)' San Antonio Artists Guild (1927); Edgar B. Davis Competition, San Antonio (1928-1929); Menger Hotel, San Antonio (1929 one woman) Southern States Art League Annual Exhibition (1929-1930); San Antonio Local Artists Annual Exhibition (1930-32, 1936-37); Annual Texas Artists Exhibition, fort Worth (1930, 1933-34); Texas Federation of Women's Clubs, Denver (1930); Annual Texas Artists Circuit Exhibition (1932-33); Bright Shawl Gallery, San Antonio (1934 one woman); San Antonio Art League (1947); River Art Group, San Antonio (1948-1950); Coppini Academy of Fine Arts Exhibition, San Antonio (1952, 1954, 1956, 1958-59); Hock Shop Collection; Rediscovering Texas Artist of the Past, Museum of the Big Bend, Alpine (1997); Visions of Texas: 1900-1950, Art Museum of Southeast Texas, Beaumont (1997); Annual Exhibition of Artist, Dallas Woman's Forum: Annual Cotton Palace Exhibition, Waco.Collection: Witte Museum and Daughters of the Republic of Texas, San Antonio. 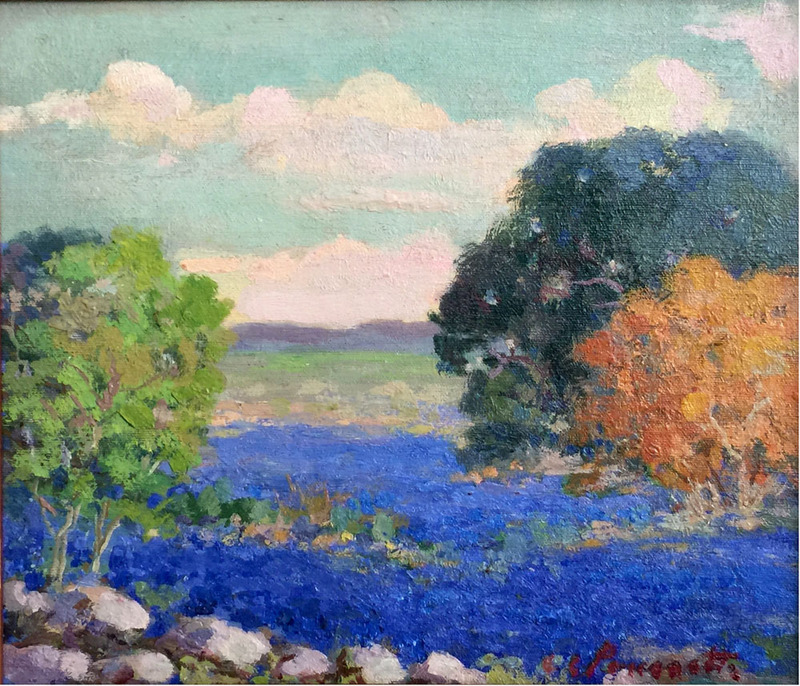 Clara Caffery Pancoast was a landscape, still life, and street scene painter, whose most sought after work were depictions of historic buildings around San Antonio and nearby missions and ruins of the Alamo. Although she was a prolific artist, completing over 500 oils, etchings and watercolors, she was a full-time journalist in the 1920s while she was raising a family. She was born in Louisiana and grew up on a plantation. She took her basic education at the Home Institute in New Orleans, where she also too art training. About 1888, she moved to San Antonio, and there married William Test Pancoast in 1891. While raising two daughters, she became a professional newspaper journalist, serving as editor of the San Antonio Express from 1916 to 1926 and editor of the San Antonio Light from 1927 to 1937. 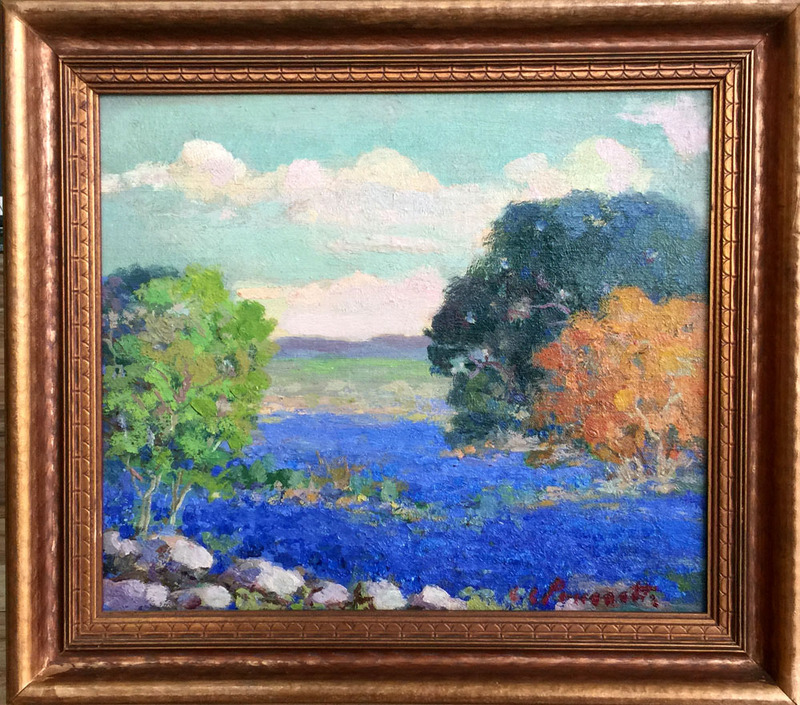 She became the first president of the San Antonio Business and Professional Women's Club and was active in many art groups including the Palette and Chisel Club and San Antonio Art League. While working at her journalism career, she was a 'weekend' painter. She studied art from Jose Arpa and Wilson K. Nixon and also spent time in Alpine in the art colony and for one year taught at the Sul Ross Summer School of Art in Alpine. 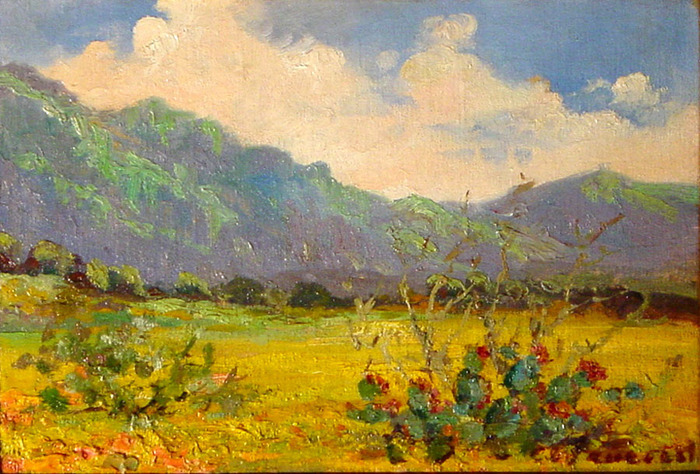 She also sketched in Mexico and West Texas, and painted many scenes along the San Antonio River. 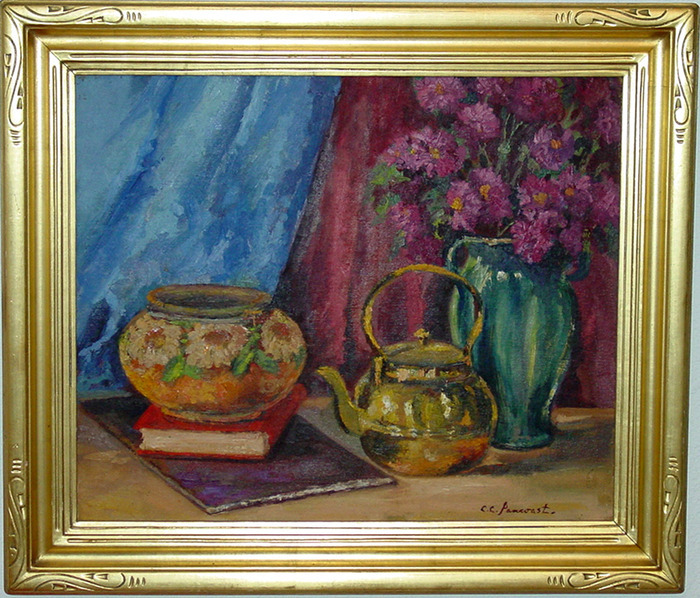 Exhibition venues included the Texas Fine Arts Association, Texas Artists' Exhibition, Edgar B. Davis Competition and Southern States Art League.